We try our best to speak Mandarin at home with the kids. As an ex-Berries teacher who has loved this language her whole life, I cannot overemphasize the importance of exposing our kids to Mandarin from a young age and letting them hear, speak and understand more about it. 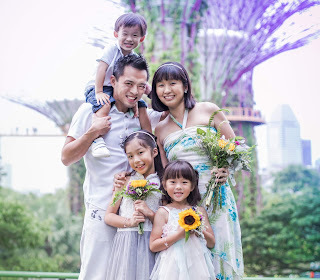 Now, if you like theatre as much as we do, how would you like to let your kids watch one of the most loved fairy tales of all time come alive on stage, in Mandarin no less? 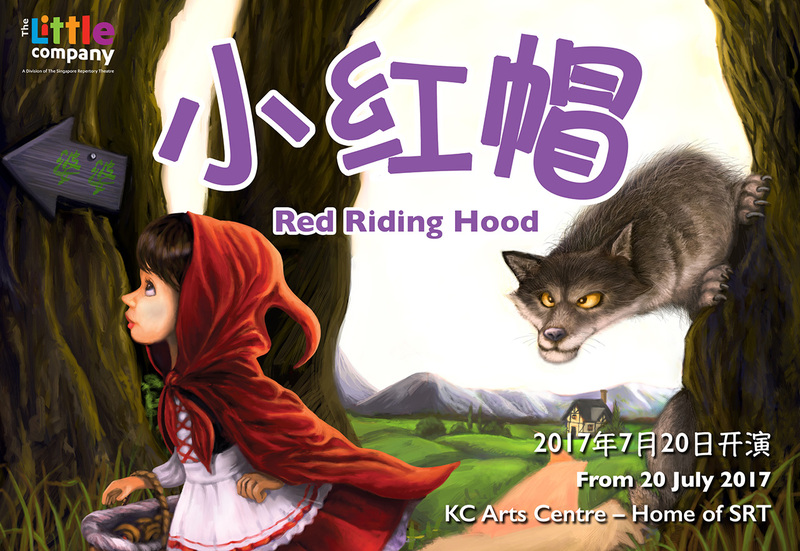 Yes, we are very thrilled to announce that after successfully staging it in English, SRT’s The Little Company now presents 《小红帽》 - Red Riding Hood in Mandarin! Red Riding Hood is an uplifting story about a brave girl named Red who must journey through the forest to reunite her family and save Mother's bakery from closing down. Will she reach Grandma's house in time? Or will the charming Big Bad Wolf distract her from her quest? Join Red on her adventure into the woods, where no one is what they seem! Filled with humour and packed with original music, this is a show to be enjoyed by children and adults of all ages. We can't wait to watch the show and see how Big Bad Wolf speaks in Mandarin and how Red tries to escape from his clutches. SRT's The Little Company has never let us down in its productions and we are quite sure that we are going to enjoy this one too, more than ever since it will be our FIRST Mandarin one. Woohoo! Here's a sneak peek before it begins! This show is recommended for aged 5 years old and above. However, if parents wish to bring their infant-in-arms or children below the age of 2, both parent and child will be required to purchase a ticket. 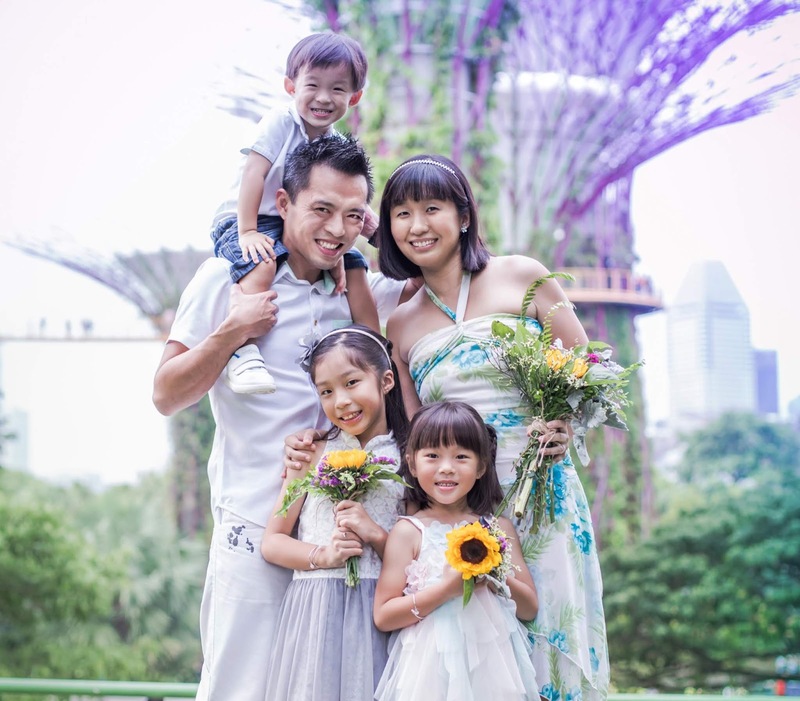 For those who are keen to watch 《小红帽》, here's your chance to win a family package of 4 tickets! To participate, leave a comment in this post with your name and email. Indicate in the widget that you have done so and to increase your chances of winning, you can choose to carry out the rest of the options. This giveaway is in no way sponsored, endorsed or administered by, or associated with, Facebook or Instagram. Best of luck! a Rafflecopter giveaway Disclosure: We received a media invite from SRT to review The Little Company's 《小红帽》. Giveaway prizes are kindly provided by SRT. All opinions are our own. Awesome giveaway! Hope to win and bring my kids to the show!! Family of 4 would like this chance to watch! I hope to win this for my kids who seldom have the chance to watch such dramas. Hope to win the tickets to bring my 2 girls to watch the performance ! Thk u for the Giveaway! Hope the terrors at home can watch this with their grandmother. It's very apt because the play is in Mandarin and they get to learn about filial piety, discernment and courage through the play. I believe it would be a wonderful experience for the young and old! Hope to win because my family becer watch this show before. Pick us Please! My boys (2,5) will be thrilled to watch the show, especially the 5yo who was pleading me with the flyer he got from Berries to bring him for this show! Hope we get picked! Awesome giveaway.my kids will love this play. Hope to bring my boy for this play to polish his angmo slang Mandarin, thank you! My kids love musical, drama and play. Hope to bring my kids to watch their favourite story perform live. We love musicals! Or at least I do and I hope my children love it like I do. Thanks so much for the giveaway... hope to win to have much needed family time! Thanks for the giveaway! All steps completed! Hope to win tickets to this show! 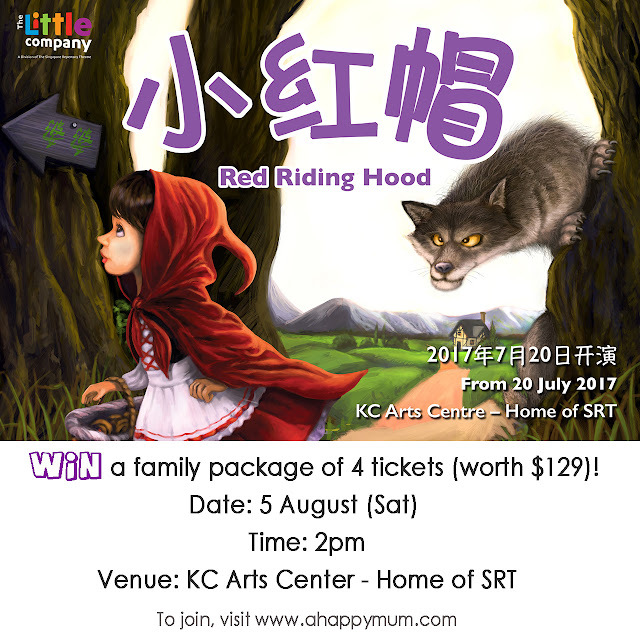 My kids and I would to be able to be selected for this giveaway and enjoy a theatre production in Chinese. These are priced jewels! Thanks for the writeup, A Happy Mum!